Myth #1: "Hearing Aids Don't Work"
What does a person really mean when they say, "My hearing aids don't work"? Are their hearing aids broken? Do they find them overly difficult to use? Do they need cleaning, perhaps? Do they not meet expectations in certain situations? When someone says that their hearing aids don't work, although the perception of the client is valid, more investigation is required to find the root cause of that perception. The fact remains that hearing aids do work. All hearing clinics have the capability to perform electroacoustic testing to determine if hearing aids are operating within their manufacturer's technical specifications - whether they are "working" properly. However, hearing aids can never perfectly replicate natural, healthy hearing. Nor should hearing aids be evaluated only as an instrument, apart from the client. Best practice hearing aid verification ensures hearing aids are working properly both independent of the client and in concert with the client's ear canals. Hearing clinics operate as retail businesses, rather than medical facilities, and there is sometimes a temptation to oversell products at the expense of setting realistic client expectations. Clinics may emphasize the "pros" while downplaying the "cons". They may not clearly convey the role the client plays in the success of their hearing solution. Given these considerations, a client's statement of, "My hearing aids don't work", may be interpreted more accurately to be an expression of frustration that the hearing aids are not meeting their hopes and expectations. Hearing aids are an integral part of a hearing solution. Yet, quality-committed hearing professionals know that those who suffer hearing loss also require training in simple methods of managing the condition, even when wearing properly working hearing aids. Different environments and lifestyles make vastly different demands of a hearing aid, some of which cannot be overcome by hearing aid technology alone. Hearing loss is dynamic in that it's constantly changing over time, as with all other aspects of human physiology. Regular adjustments and cleanings are needed and should form an integral part of the overall hearing solution. When a client partners with a quality hearing clinic, they can be sure they are receiving the best care possible for their hearing aids - ensuring they are always working as intended. 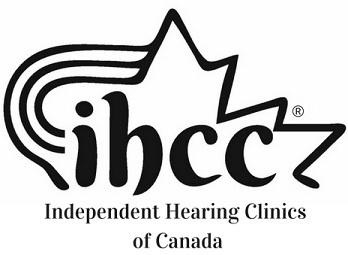 Quality hearing clinics work with each client to educate, to provide essential training, and to build realistic expectations. Hearing aids do work. All hearing solutions should be effective. Best practices for hearing care and hearing consultations ensure hearing aids meet both the needs and expectations of their clients.